I know we all love to cook and eat out but sometimes you simply need a delicious dinner fast. Am I right or am I right?? I recently noticed these frozen entrees from Candle Cafe for sale in my local Whole Foods. Aren’t they tempting? I have tried all of them and my official opinion is YUM. My favorite is the mac and cheese, not sure if that’s a personal thing or if it’s actually the best one but it is an excellent microwave mac and cheese, yum yum. 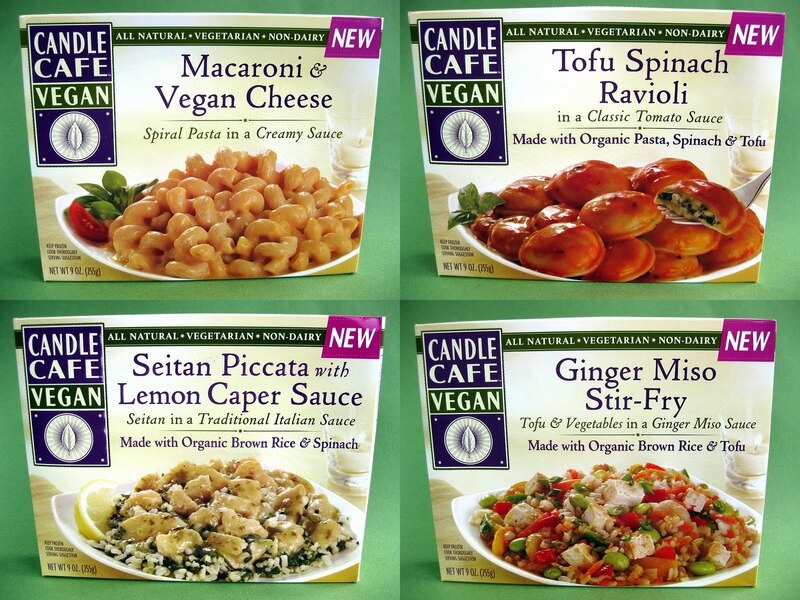 Try them out if you see them in your freezer section! My favorite thing about them is the serving size, simply perfect for a single gal like me, exactly the right amount of food. Especially now that I live oh so far away from the actual Candle Cafe, at least I can pretend I’m there while at home re-watching every episode of Grey’s Anatomy. What, you don’t do that? Don’t lie, everyone does that. Have a great day Mofoers! I don’t have anyone in my life who is vegetarian so I just can’t figure this out. I rarely cook, take is not healthy and seriously lacking in vegan options. Don’t get me wrong – my favorite foods are potatoes, tomatoes and corn. Favorite. But that doesn’t feed a family and I can’t stand the taste of substitute meats, eww. Anyhow – just another excuse maker here wanting to thank you all for your choices. Ok – take out. Oh boy, I apologize.